Membership of this elite group is automatic and complimentary for all companies listed on Bursa Malaysia as at March 31, 2017, with at least RM1 billion in market capitalisation. There are 184 members in the club this year. 36 sectoral corporate awards – three categories for 10 sectors plus two categories for large companies. The Edge BRC Highest Returns to Shareholders — for best performing stock. Trading and services, hotel, IPC and technology. To be eligible for the corporate awards, a BRC member must have been listed at least four calendar years before the end-March cut-off date in the current year as companies are evaluated on their financial performance over three years. The methodology for the corporate awards is both stringent and transparent, with the results audited by Deloitte Malaysia The data used in determining the companies that qualify for The Edge BRC membership and winners of The Edge BRC Corporate Awards is provided by Asia Analytica Data Sdn Bhd (formerly known as The Edge Markets Sdn Bhd) and data extracted from Bloomberg. Members eligible for the Highest Return on Equity Over Three Years and Highest Growth in Profit After Tax Over Three Years awards must be profitable every year throughout the evaluation period. For this year, the evaluation period is between FY2013 and FY2016. Calculation for PAT growth is also subject to a risk-weight factor component to recognise the importance of consistency in profit delivery throughout the evaluation period. Winners for The Edge BRC Highest Returns to Shareholders award are judged purely based on total return, consisting of share price gains and dividends over a three-year period. 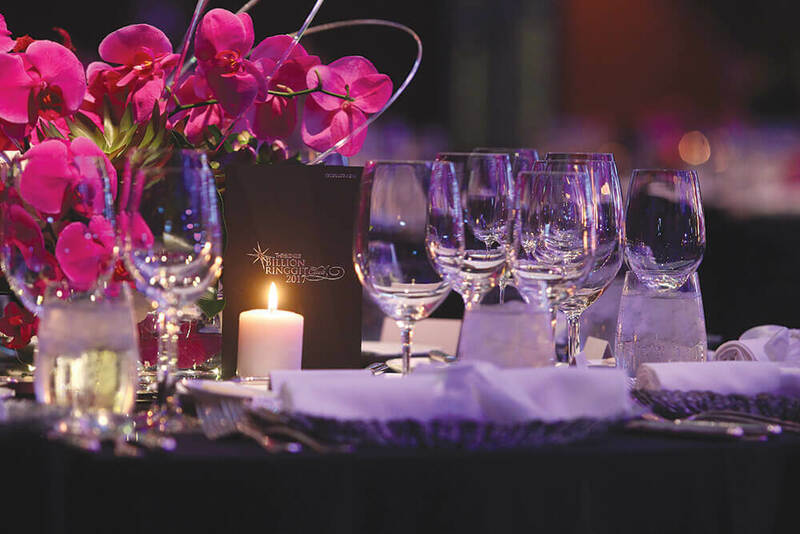 This year, the cut-off date is changed from March 31 to June 30 so that the market data is closer to the BRC gala dinner. The June 30 cut-off date will be maintained going forward, with this year being the “gap” year when the data is for three years and three months (March 31, 2014, to June 30, 2017). The annual end-March cut-off date for BRC membership is unchanged due to the need to source CR information for the judges’ consideration. Companies with scores within 0.5point of each other are deemed to be of the same rank in determining the recipients of both gold and silver awards. There could, therefore, be cases of joint recipients for gold and silver awards. Eligible companies are evaluated by a panel of judges on their CR initiatives. The Edge BRC Best CR Initiatives award is presented to companies with the top average scores in three categories: the Super Big Cap category (companies with over RM40 billion in market capitalisation), the Big Cap category (companies with RM10 billion to RM40 billion in market capitalisation) and companies with less than RM10 billion market capitalisation. The panel is selected by The Edge and the evaluation criteria are based on the three focal areas spelt out by Bursa Malaysia’s Sustainability Reporting Guide for Public Listed Companies — economic, social and environmental. CR scores account for 30% of the evaluation for The Edge BRC Company of the Year award. In 2012, the recipients were AmBank Group founder and chairman Tan Sri Azman Hashim and AirAsia Bhd co-founder and group CEO Tan Sri Tony Fernandes. Azman remains a financier for all seasons while Fernandes won for his role in transforming Asia’s aviation industry. In 2013, the award went to Minister in the Prime Minister’s Department Tan Sri Abdul Wahid Omar and Tan Sri Liew Kee Sin, former president and CEO of S P Setia Bhd. Abdul Wahid was recognised for his leadership during his tenure as CEO of Renong Bhd (2001 to 2004), Telekom Malaysia Bhd (2004 to 2008) and Malayan Banking Bhd (2008 to 2013) while Liew won for his contribution at S P Setia, a company he left in April 2015 (after about 18 years) for niche developer Eco World Development Holdings Bhd. In 2014, the award went to Sunway Group founder and executive chairman Tan Sri Jeffrey Cheah and Axiata Group Bhd president and group CEO Tan Sri Jamaludin Ibrahim for having shown exemplary leadership in building businesses and creating value for all stakeholders. Last year, the award went to Khazanah Nasional Bhd managing director Tan Sri Azman Mokhtar, who was instrumental in not only transforming the institution but also the collective transformation of 20 government-linked companies across varied industries.